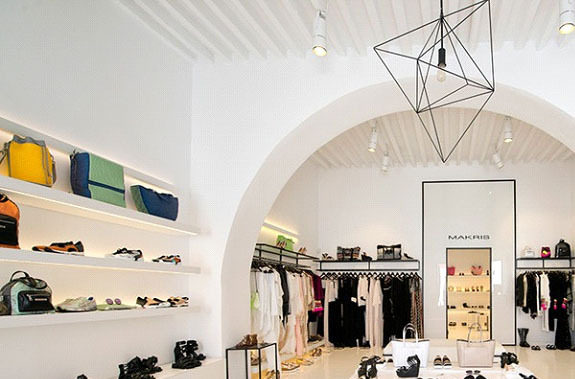 If you are looking for the most stylish shoe and bags collection, as well as elegant clothes in Mykonos island, you will find it in Makris store in the cosmopolitan Mykonos town right next to the Gialos area. Makris is a leading Greek brand established in 1980 that creates fine products according to the latest fashion trends for woman and men. Makris company exports more than 80% of its production to Europe, Japan, Hong Kong, Russia, USA, Dubai, Lebanon, Kuwait, Israel and South Africa. All the collections are designed from the best quality materials and have a high aesthetic level. Location: Matogianni St.